Developed in conjunction with the Chinese Flagship Program at Indiana University, this intensive, immersive comprehensive course is for students with a solid Intermediate proficiency in Chinese who wish to begin developing advanced speaking, listening, reading, and writing skills. Students will broaden their familiarity with Chinese culture through work with authentic materials and media, through participation in a variety of extracurricular Chinese language activities, and through interactions with the local Chinese-speaking community. Students who complete the course successfully will develop advanced skills and will reach a global proficiency of Intermediate High/Advanced Low or better. They will able to function easily in a Chinese-speaking environment. They will be able to understand materials, including news, videos, podcasts, chats, stories, etc. with ease, and to interact confidently with native speakers. The Language Workshop is pleased to offer Chinese in collaboration with the Flagship Chinese Institute. To maximize learning, Workshop students immerse themselves in Chinese language and culture; living, working, and eating with fellow students and faculty on the Chinese floor of the residence hall and by signing a language pledge to speak only Chinese for the duration of the program. You will be challenged, perhaps more than you anticipate, but the results will be reflected in your language progress. The pledge is so central to your learning that student sign a binding agreement to speak only Chinese during their time at IU. Those who fail to abide by the agreement can be dismissed from the program and forfeit any funding or scholarship they may have received. But it rarely comes to that. Most students thrive in the Chinese-only environment and make rapid progress. Immerse yourself in Chinese this summer and see how much you can do! 加油! 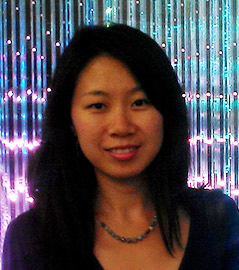 Yu Liu received her Master's degree in Chinese Pedagogy from Indiana University Bloomington. She brings a decade of experience teaching Chinese to college and graduate students at all levels, including speaking, reading and writing courses. Her research interests include Chinese pedagogy, curriculum design, assessment and evaluation in language teaching and learning, heritage learners' motivation and learning needs.